There are a lot of massage chair brands to choose from and they all manufacturer a wide variety of massage chairs. Here is a comprehensive list of the leading brands and some of their most popular models. Ogawa is one of the largest health and wellness companies in the world. They are owned by one of the largest manufactures of robotic massage chairs that make over 60% of all massage chairs that are sold in the United States. 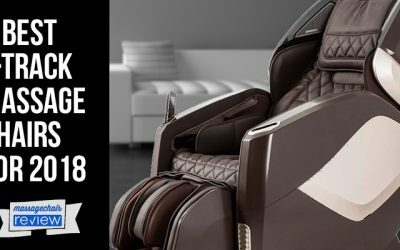 They are known for blending innovative technology into the massage experience, as well as making some of the best quality furniture grade massage chair on the market. They have two releases in the Unites states these are the Ogawa Refresh and Ogawa Active SuperTrac. The Active is made on the same assembly line as the Panasonic chairs, so the quality is amazing. Panasonic is one of the true innovators of massage chair technology. They’ve been researching and developing massage chair products since the 1960’s. Panasonic has focused a lot of energy on creating an experience that is as lifelike as possible. 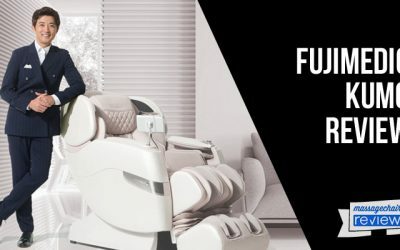 Panasonic chairs are conceived in Japan and borrow effective and popular massage therapy techniques from all styles of massage. The Real Pro Ultra Massage Chair series focuses intensely on therapy options, massage coverage, and the quality of massage. Their most popular models, the Panasonic EP-30007, Panasonic EP-MA70, and the new Panasonic EP-MA73, have received very positive feedback for many years, and are still some of the biggest sellers. Just as the Panasonic brand is known for, these chairs are designed with the highest quality in mind. Inada was also a pioneer in the early days of massage chair technology. They put a large focus on developing industry first techniques with their coveted Japanese manufacturing. They are best known for their Inada Sogno Dreamwave massage chair. They also have the YuMe Massage chair which was released in 2011. 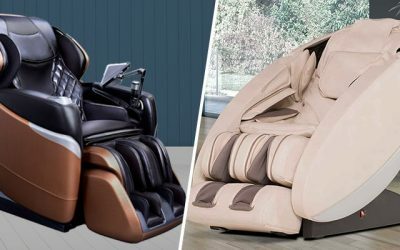 Inada is the last massage chair that is both designed and built in Japan. Their Sogno Dreamwave is built with the highest standards and has several accolades displaying its achievements. Their chairs have continued to be a favorite among enthusiasts. They have attractive design appeal with very easy usability. 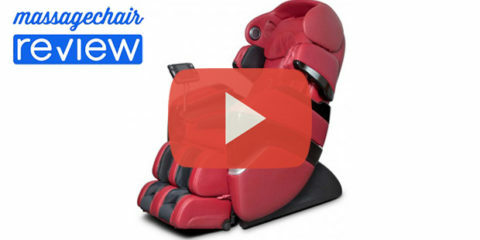 They have one of the most complex airbag massage systems of any massage chair. Their dreamwave function was the first of its kind and has been roughly replicated by many other massage chair brands. Read more about the Inada Dreamwave and Inada Flex 3S. Osaki Massage Chairs has been developing cutting edge massage therapy products for several years. They have a wide range of models to choose from and focus on the basics of what makes the massage therapy experience. 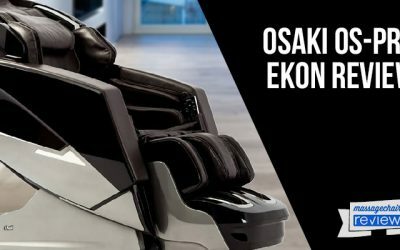 Their most popular model is the Osaki Os-4000, which includes Zero Gravity, 48 Airbags, and a wide range of pre-programmed massage functions. They also offer higher end models with more too choose from like the Os-7200h with 3D roller technology, and the Os-7075r Deep Tissue Massage Chair that also includes foot rollers. Read more about the Osaki OS-3000 Chiro, Osaki OS-4000, Osaki OS-4000T, Osaki OS-7075R, Osaki OS-7200H, Osaki OS-3D Pro Cyber, and the Osaki OS-3D Pro Dreamer. Cozzia Massage Chairs has a wide range of high quality and therapy focused products. These massage chairs are designed to be very easy to use, offer the best in popular therapy, and also be affordable to the average enthusiast. They have a wide selection of massage chairs to choose all ranging in features and in price. Their most popular model, the Cozzia 16027 is a Zero Gravity massage chair that delivers firm and thorough massage features as well as aesthetic appeal. In Fall 2012 they released their EC618 massage chair that is already becoming a best seller for the brand. Cozzia not only known for great quality products at affordable prices, but is also know for support after the purchase with great customer service. Read more about the Cozzia EC618, Cozzia 16027, and the Cozzia 16028. Infinity Massage Chairs has become a pioneer in massage chair technology. They released the first Inversion Therapy massage chair, the IT-8200 in the summer of 2012. This model had a lot of firsts for any massage chair, and they decided to build on many of the great features and released the It-8500 massage chair. 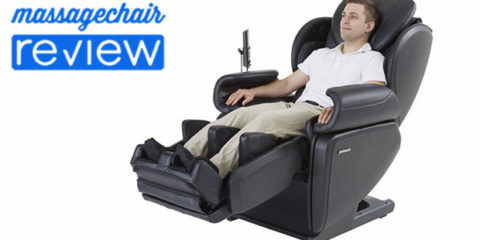 Their 8000 series has since added another new release with the It-8100 and they have all received a lot of positive feedback.They chairs come with features that offer a wide range of massage styles, special functions like Zero Gravity and Inversion, as well as other new features like Foot Roller technology. 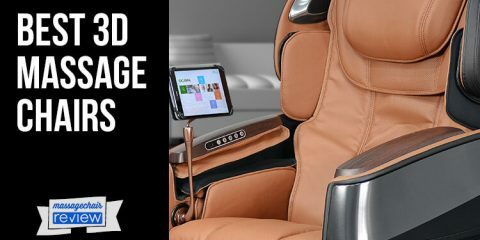 Infinity looks forward in making sure their massage chair owners are taken care of by providing easy to work with and reliable customer support. Read more about the Infinity IT-8100, Infinity IT-8200, Infinity IT-8500, Infinity IT-8800, Infinity Iyashi, and the Infinity Riage. Luraco Technologies is a pioneer in Spa and Massage Chair technology. Based in Arlington Texas, where they research, design, and develop several lines of products, they are focused on developing chairs that are high quality and easy to use. Their line of massage chairs are researched, developed, and produced here in the United States and their flagship model is the iRobotics 6 massage chair. It has over 100 airbags, Zero Gravity Recline, and is made with high quality components. The iRobotics 6 is customizable and can be updated with new advancements as new features and programs are released. The iRobotics 6 is very easy to use and is made to be very easy to understand, assemble, and even helps the user diagnose problems if the chair runs into technical difficulties. Read more about the Luraco Massage Chairs. Human Touch is an award winning massage chair manufacturer. They have developed a line of massage chairs and massage products focused around wellness and the life changing benefits associated with massage therapy. Their patented pending massage products are designed with influence from their wellness council to be contemporary and offer the most lifelike experience. They have several popular lines of massage chairs that include the their iJoy series, the HT massage chair series, their Immersion Massage Chair series, and their Perfect Chair Zero Gravity lounger series. Human Touch is headquartered in Southern California and looks to continue their pursuit in designing wellness inspired massage products. Read more about Human Touch Massage Chairs. Osim Massage Chairs is best known for their uDivine massage chair. Theirs are built with high quality materials and designed to look modern and contemporary. They have some of the most advance technologies in a massage chair, including their mobile application to control the uDivine. 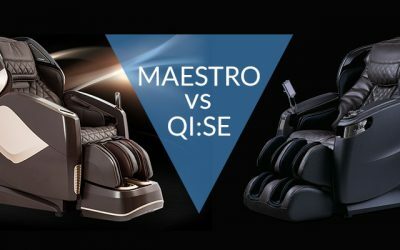 Osim has a more popular massage chair in the US which is the uAstro series. In Fall 2012 they upgraded this model to the uAstro2 giving it Wider Shoulders and Footrollers. Osim brand Massage Chairs are available exclusively at Brookstone. Read more about Osim Massage Chairs. Inner Balance Wellness is best known for their high quality Zero Gravity Recliners. They are a division of Johnson Health Tech Network North America and take a wellness first approach. They understand the many different facets of therapy and relaxation and focus on the specialties to deliver the best results. Everyone can benefit from a Zero Gravity Recliner and it’s ability to relax even the most stressed people, and they’ve designed a recliner that is high quality and affordable. These chairs are best for those not looking for a fully featured massage chair, and someone who is looking for a quick way to relax. They offer the ZG550 Zero Gravity Chair, the ZG571 Zero Gravity Chair, and the MC660 Deluxe Massage Chair. Read more about Inner Balance Massage Chairs. Superior massage chairs has recently released the SMC6850 massage chair. It has a new design with many of the newest therapeutic based programs and features. Superior designed their SMC6850 with 12 years of massage based experience. 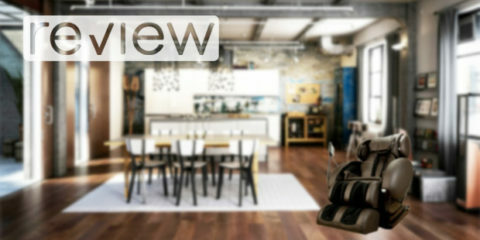 They understand the user and created a high quality chair that can meet current consumer demands. Their SMC6850 has 3D massage technology, built in heater technology, and a futuristic attractive design. iComfort massage products is wholy owned by EBI a Canadian based company. They have a wide variety of health and spa related products. These range from massage chairs, to saunas, to handheld massagers. They have offices and manufacturing based overseas to help them move quickly to new demands of products and technologies by consumers. 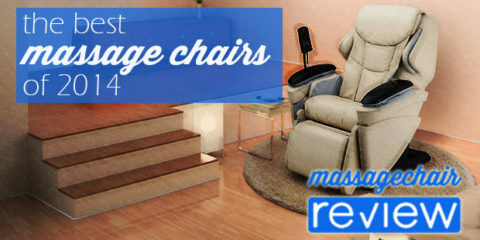 They have a wide line of massage chair products and continue to research and develop new products. Sanyo massage chair have always been known for quality and best in industry massage methods. In 2012 Sanyo decided to discontinue their massage chair line which included the HEC 7700, and HEC 8700. They have since focused on just offering relaxation chairs. Their most popular relaxation chair is the HEC-RX1. This chair includes One button Zero Gravity and an 8 airbag massage system. It’s not completely clear if Sanyo is going to develop any more full featured massage chairs in the future. Read more about Sanyo Massage Chairs. Omega Massage Chairs is best know for their high quality massage functions and high quality massage chairs. Omega has spent a substantial amount of time making sure to design a chair that is feature rich and easy to use. Their massage quality which is very important in any massage chair, is firm, smooth, and realistic. As massage chairs users have noticed some can feel rigid, robotic, and to strong. Omega has several chairs that are able to stand by the quality of the massage and also be very easy for people to use. Their chairs are designed with the user in mind and have offered many industry first programs and features. Their most popular model the Montage Pro, has a quality standard similar to Inada and Panasonic. Read more about Omega Massage Chairs. Fujita Massage Chairs are focused on bringing intense therapy methods to massage chairs. Their rollers are designed to offer a deep tissue massage at a high intensity. Their best selling massage chair is their SMK9100. It offers width adjustments on the arms, thai stretching, and music sync. Read more about Fujita Massage Chairs.